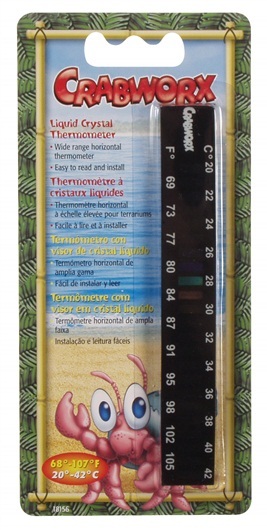 An easy to read liquid crystal thermometer for use on any aquarium or habitat tank. Mounts horizontally by peeling off the backing and sticking to the outside of the glass or plastic. 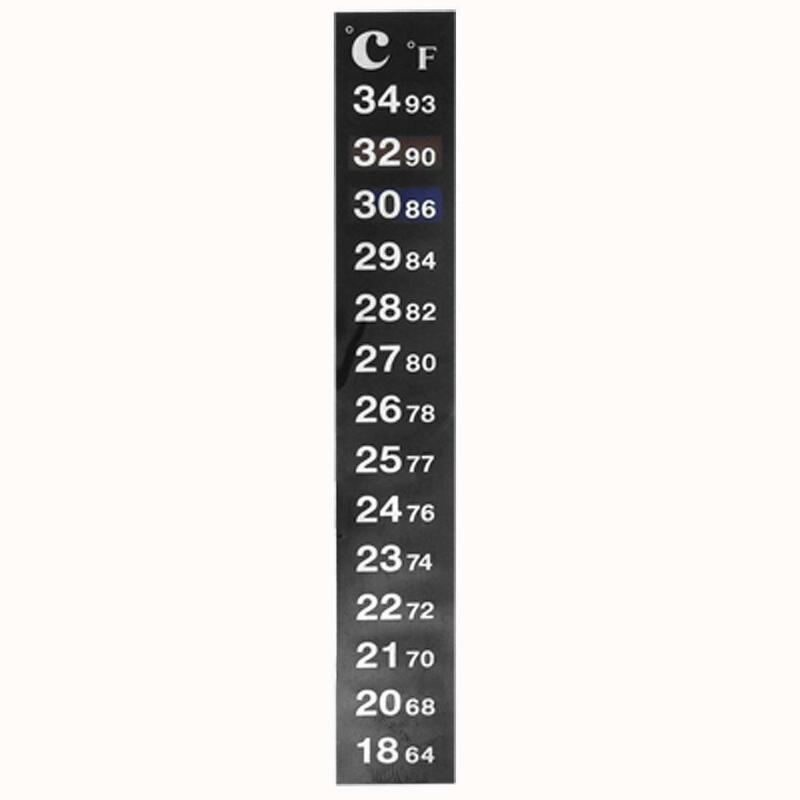 Wide range from 69º to 105º Fahrenheit and 20º to 42º Celsius. Perfect for hermit crabs, snakes, brine shrimp, aquariums, habitats and more.